Living in this world but not of it. Every since I comprehended the fact that life is truly what you make it, I have began to live every day geared towards living the life that I dream of. Welcome and thank you for joining in on my journey. Enjoy! After overcoming injuries physically and mentally, In November of 2017 I relocated to California to train with a professional coach and training group. As an unattached, elite athlete I am currently actively seeking various sponsors and additional financial support to continue training successfully at this level. Born and raised in Nebraska, Brianna attended Omaha North High School where she was a sought-after all-state athlete in both the 100 hurdles and long jump, earning numerous state championships. Following her stellar high school career, Brianna attended UTEP for one year before transferring to Texas Christian University. 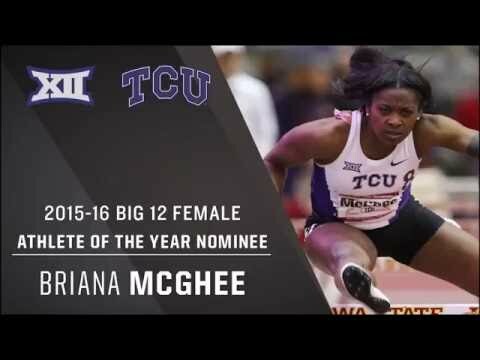 While competing for the Horned Frogs, she was earn All-Conference and All-American honors in addition to setting TCU records in both the 60 meter hurdles and 100 meter hurdles. In her first seasons post-college, Brianna has seen consistent improvement while also being side-lined by injury. She says, "Over the years, my progression as a track athlete has been gradual. I have gotten better and better every full season I have had. The best is yet to come!" Off the track, just as on the track, Brianna maintains an ever-present positive outlook, stating, "Whatever it is that I want to accomplish, I will do everything I can to see it come into fruition." Further, her competitve spirit and drive may be the result of growing up in a large family of 10 siblings. When her time on the track is through, Brianna says, "I want to travel, document, and see the world!"